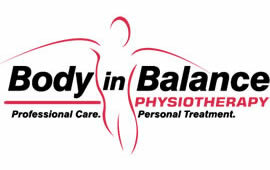 At Body in Balance Physiotherapy, they believe in providing the gold standard in patient care. Each member of their staff is highly trained, knowledgeable professionals with numerous years of experience. They combine and utilize only the most effective, evidence-based approaches to therapy in every session, to achieve balanced and complete rehabilitation solution. Each session with one of their physiotherapists is customized to meet the individual and unique needs of their patients. Body in Balance entrusted MediaTown Marketing & Design to build a completely custom, and mobile responsive website focused on improving their search engine results. The team at MediaTown did just that. Within a couple of months, Body in Balance was handed an SEO optimized custom website, aimed at differentiating Body in Balance from their competition. Today, you can find Body in Balance amongst the top search results for a variety of keywords prospects search for the most.